The computer-generated Doctor morocco hatches a bold new plot to win against the Rescue Bots... by becoming one of them. Doc's new invention causes everyone in town to sing instead of talk, creating confusion and tension on the Team. 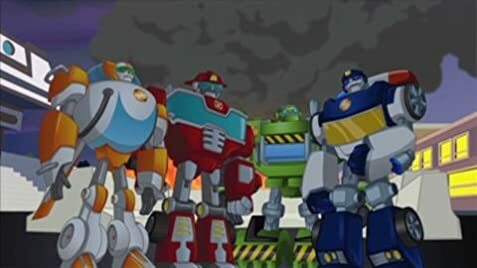 Three years after their arrival on Earth, an alien attack forces the Rescue Bots to decide whether to reveal their true natures to the citizens of Griffin Rock. Transformers crash land on present day Earth and inadvertently cause a technological revolution. They wake up 50 years later in a world where robots are used in everyday life. StarScream arrives looking for their AllSpark. The Autobots must stop a colossal planet consuming robot who goes after the Autobot Matrix of Leadership. At the same time, they must defend themselves against an all-out attack from the Decepticons. Optimus Prime and the Autobots defend Earth against Megatron and combined forces of the evil Predacons and Decepticons. A secret agent labradoodle is recruited into a task force called T.U.F.F and fights injustice throughout the city in which he lives. Animals like the Craneosauraus, Garbageadon and Tyrannosaurus Trux (part dinosaurs and part truck) exist in a fictional prehistoric era. Dani Burns: Anybody order a drink? Blades: What? No, we're taking this to the lava - Oh, I get it, Earth humor! Q: Who is this cartoon targeted at? Q: Is this show related to the Transformers Prime series? 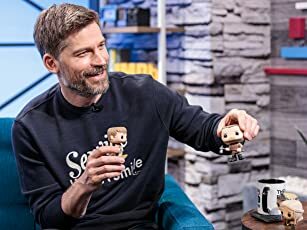 Q: Are there any Decepticons in this show? 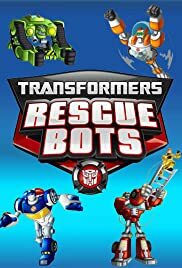 For a children show it's very well done.Yeah I know it not deep like prime,but it isn't dumb down.Wonderful writing and charming characters.Both humans and the bots.RB goes to show you that Transformers can be worth watching without cons . It a great show okay maybe not great.However it not that bad, so what if it doesn't have any cons.It still got it own villains.SO STOP HATING just because it has no cons.GROW UP!.Okay I need to add more words because the website said so.I prefer RB over TFP. I Prime is good and all, but light and fluffy show are more for me.PS light and fluffy doesn't equal dopey.Come IMDb what more do you want. Isn't this enough for you guys.No I guess not.I like all the characters especially Blades and Heatwave. Blades is cute.I mean come even you haters can agree.